In this show athletes attempt to complete incredibly challenging gymnastic courses which require almost superhuman strength and endurance. It’s funny that I would like this show so much, since I was never much of an athlete, though I did play some sports as a kid. In fact I was a catcher on our little league team, despite the fact that I couldn’t even throw the ball to second base without at least one bounce. Anyway, often before attempting the Ninja Warrior course, some (not all) of the athletes make statements like: “I just want to show the world that I am the greatest, strongest Ninja Warrior the world has ever seen. I’ve been training for this for years and I can’t wait to finish the course and hit that final buzzer.” That’s not an exact quote, but that’s what comes across to me as I sit there eating my tortilla chips. The world pursues greatness. And there is nothing wrong with being diligent and creative and seeking to improve and become the best you can at something. God gives us talents and gifts and wants us to use them and develop them. God commanded Adam to take dominion over the earth. To take the raw materials of the world and make stuff out of them. Good stuff, great stuff, like skyscrapers and iPhones and symphonies and quilts. But so often, in our fallen nature, when we do these kinds of things, we begin to think how great we are. Jesus doesn’t say it’s wrong to want to be great. But the way to true greatness is not the way of the world. The way to true greatness is not by creating a great masterpiece or conquering the Ninja Warrior course, or making millions of dollars or writing the greatest novel ever written. The way to true greatness is by being a servant. The servant of all. The slave of all. To lay down your life to look to the interest of others. Just as he did. Jesus’ greatness was infinite. His glory and power and majesty was inconceivable. 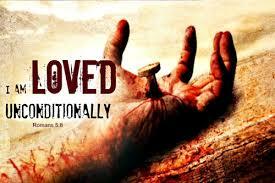 Yet he laid that aside and took on human flesh and human weakness to look to serve us. The night before he was crucified for us, he was washing his disciples’ feet, taking upon himself the role of a household servant. So do you want to be great? Go for it. Look for someone to serve today. Serve your roommates. Wash the dishes or clean up your apartment without looking for appreciation or thanks. Take your grandson out to the park. Help that elderly widow in the church who needs her home repaired. Pray for that friend of yours who is depressed. There are endless ways to serve others in secret. And let me tell you, they often don’t feel like you’re doing anything great. But on judgment day, Jesus will commend you. You’ll be great in the kingdom of heaven. That’s the kind of greatness to go for. Use your talents. Use your gifts. Write that symphony. Run that marathon. Knit that sweater. Bake that lemon meringue pie. And use your gifts to bless others. Serve others in anyway you can, great or small. Go after kingdom greatness today.